Deborah Shank: How Are You Responding to Adversity in Your Life? How Are You Responding to Adversity in Your Life? We have each experienced it at some level in our lives. Small, medium, large and extra large. ADVERSITY! Each day brings some form of adversity to our plate. It could be an argument with our children, a misunderstanding with our boss or a group of disgruntled people within the congregation who have decided to start a campaign to remove the pastor and his family from the church. Trusting God is easy when life is going smoothly but difficult when adversity attacks. Some say that a woman never shows her colors as truly as in crisis. A crisis will either tear a marriage apart or cause a couple to pull together. Proverbs offers good advice on how to be strong in adversity. 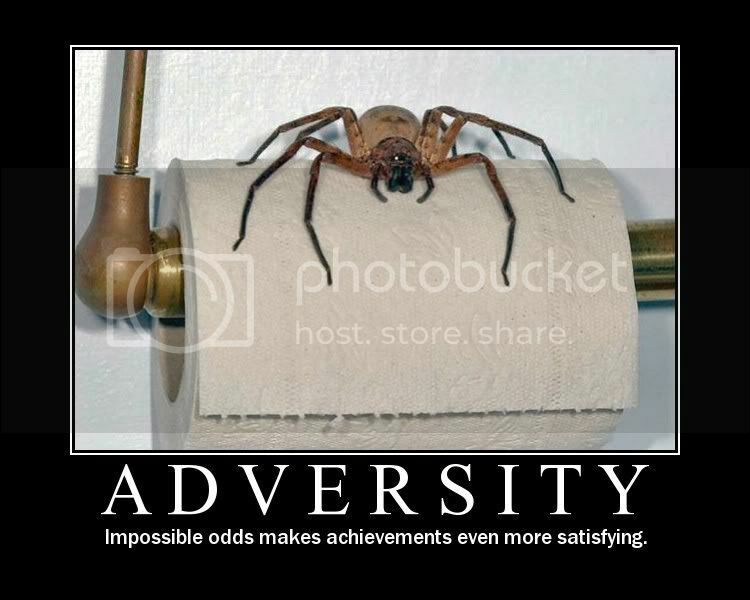 Adversity can be useful. It shows you who you really are, what kind of character you have developed. In addition, it helps you grow stronger. When Jeremiah questioned God because of the adversity he faced, the Lord asked how he ever expected to face big challenges if the little ones wearied him (Jeremiah 12:5). Life was extremely difficult for Jeremiah despite his love for and obedience to God. When he called to God for relief, God's reply in effect was, "If you think this is bad, how are you going to cope when it gets really tough?" Not all of God's answers to prayer are nice or easy to cope with. Any Christian who has experienced war, grief, or a serious illness knows this. But we are to be committed to God even when the going gets tough and when His answers to our prayers don't bring immediate relief. Don't complain about the adversity in your life. The adversity you face today is training you to be strong for the more difficult situations you will face in the future. A number of years ago Bobby and I were called to pastor a very troubled church. I must admit those five and a half years were some of the most challenging years in our ministry. We were in the valley more than we were on the mountain top but those years were training years for both of us spiritually. I matured in my walk with Christ and learned to lean on God in all situations. Many times we faced huge giants but God always showed up and took care of the adversity in an incredible way. It was amazing! Did we experience pain and hurt during those times? Absolutely! Were the odds against us for conquering the adversity? Absolutely! The average tenure of a pastor in that church was three years! But our response to the adversity proved to God that we were serious about the calling upon our lives as pastors. With God by our sides we were able to conquer the enemy repeatedly and are equipped today to handle more challenging circumstances in our ministry. Adversity is not God's ultimate desire for His creation; yet, there is a clear message that God uses adversity. He is in control over the most adverse of circumstances. We are wrong to presume that God is necessarily in the business of removing our adverse circumstances or reversing the situation that led to adversity. Rather, the Bible points to the conclusion that instead of taking us out of adversity God is much more interested in taking us through it, using the adversity to effect something good in our lives. Naomi and Ruth provide a great example of triumph over adversity. Women in Bible times had few independent or autonomous rights. As a result, most women depended upon the patronage of father, family or husband. To lack such a protecting relationship was to invite adversity in many guises. Naomi's family left Judah and went to Moab in search of food. There Naomi not only subsequently suffered the loss of her husband but later the loss of her two sons as well. Utterly unprotected in a foreign land, she determined to return to her native city Bethlehem for safety. Naomi's story is significant, because of the faithfulness of her daughter-in-law Ruth, who could have chosen the protection of her homeland, Moab, but rather gave up her own rights. Ruth did not choose the suffering of widowhood, but she did choose the vulnerability and possible suffering involved in following Naomi back to Judah, turning her back on the security and protection of her family in Moab. God clearly emerges as the Protector of the unprotected who place their faith in Him. The womanly wisdom of Naomi foreshadows Jesus' character as revealed in the New Testament where He seeks those in need of being defended. Naomi was able to direct Ruth to Boaz, her kinsman redeemer, who, as Ruth's husband, became a guardian both for her and Naomi. This is one of the clearest examples of how God's ultimate purpose is worked out through human adversity. How are you responding to the adversity in your life today? God may be preparing you for something huge but the end result will be determined by how you handle the adversity you are currently facing. Lord, help us not to focus on the adversity in our lives but to learn to lean upon you and your will. Help us to trust in you more each day and to respond to challenges with Godly character and integrity. Help us Father, to demonstrate astounding faith when the odds seems to be against us. Remind us that we can overcome any adversity in our lives with you by our side .